Berry’s Bench Topper is crafted from CNC-machined aluminum and powder-coated silver for durability. It comes with two aluminum hangers for adding plastic storage bins for bullets or brass. All fasteners are recessed for a clean work surface. 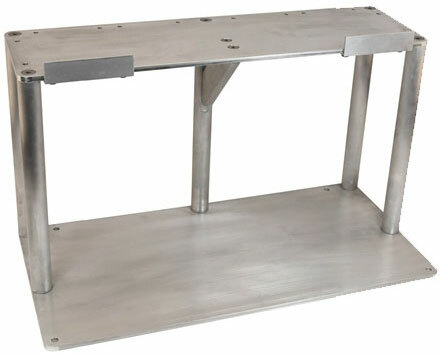 NOTE: The Bench Topper must be assembled by the purchaser, and YOU MUST DRILL YOUR OWN HOLES for installation of your reloading press and any other devices you want to bolt to the top level. This requires a few minutes of extra initial set-up time, but this allows a secure, custom installation for any brand of reloading press. CLICK HERE for Bench Topper Assembly Instructions (PDF file). Product Tip from EdLongrange. We welcome user submissions. 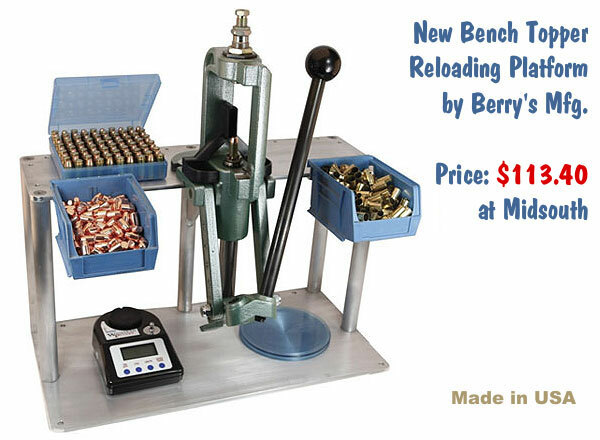 Share the post "Berry’s Bench Topper Provides Extra Space on Loading Benches"